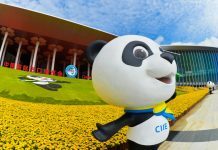 The new series “CIIExpress” opens dialogues with diplomats of the participating countries of the China International Import Expo. We can find the respective highlights of their national pavilions and their expectations for the first China International Import Expo. Hungary started off late in their preparations for the China International Import Expo (CIIE) due to parliamentary elections, but they have caught up with great enthusiasm. They are bringing a veritable buffet of enticing options, from healthcare innovations to the country’s delectable cuisine. To get a load of this country’s impressive offerings, all you have to do is check out Hall 5.2 AO2 at the National Exhibition and Convention Center during the CIIE. The Hungarian delicacies await!